David is the Founder of Nihilism Gaming. He started his career in e-sports in the spring of 2015, quickly leading a team into the pro scene. In his free time David plays Heroes of the Storm and is the former captain of TBA. Notable teams he has worked with since include Kappa5 and NHG. But most recently he coached HeroesHearth Esports into the HGC pro league. Over time he has slowly built Nihilism Gaming into what it is today. His dedication to Heroes of the Storm is ruthless. He has played far over 10,000 matches of Heroes of the Storm, and has achieved over 100,000 takedowns. From the beginning and to this day he maintains a position on the Americas Grandmaster leaderboards. Li-Ming is a flashy arcane mage. Specifically, she uses ability damage in large bursts follow up on CC, such as a Muradin stun, or to poke at enemies from a long distance. Her trait that resets all of her cool-downs is extremely rewarding and can cause a single kill to snowball a team-fight into total victory. At the same time she is reliant on difficult skill-shots, and missing one could mean a loss. Overall, Li-Ming benefits from being a relatively adaptable hero, with great talent flexibility. Because much of her power comes from her talents, she becomes much stronger in the late game. ​Power Hungry is an overturned talent that fits into many different builds for Li-Ming. The additional mana from regeneration orbs provides Li-Ming the ability to sustain her presence on the map, without needing to back for mana. Astral Presence provides a similar benefit of being able to avoid hearthing home, but Power Hungry has an additional benefit of ability (spell) power. Another weakness of Astral Presence is that is has no value until you are low mana. This means it will give you enough mana for one spell faster, but because Li-Ming is a burst mage she is much more effective with an entire combo. Astral Presence doesn’t provide this unless you hold your abilities until you have enough mana for a full combo. Force Armor is a situational talent in this tier because it does not provide mana back. This means you will need to hearth often and it reduces the total impact you have on the game. However, taking Force Armor is far better than dying to a direct counter multiple times. An example of a great time to take this would be when against an enemy Valeera or Azmodan. Specifically when considering if you want to take Force Armor, ask yourselves these questions: Does the enemy team have high ability damage skills? And: Will they often be thrown at me? Triumvirate is your go-to talent if you have no fear! At this talent tier you must decide if you want to go a ‘Standard Ranged’ or ‘Defensive Teleport’ (see situational talents from now on) build. When thinking about which build to go, if you feel threatened by the enemy composition you will want the ‘Defensive Teleport Build’. If you feel safe and know that your job on the team is to provide long ranged burst damage, take the ‘Standard Ranged Build’. The reason we choose Triumvirate in our Standard Ranged Build is that it provides a huge increase to your poke damage output. This shifts your playstyle from holding Arcane Orb for follow-up damage on a stun, to being able to use it regularly for poke damage. Charged blast provides a similar damage benefit, but at much higher risk. Dominance is a powerful defensive ability that enables a safe way to use Calamity in the next tier. Combined with Calamity, you’ll want to aim to throw your Arcane Missles and Orb, and use Calamity to finish up a kill. This will give you a reset and a 20% heal, meaning you can continue your aggression until you fail to make a kill. While this is the ‘Defensive Teleport Build’ it is also the build that snowballs harder in fights because of its heavy reliance on your trait. Seeker will optimize your long range damage and is slightly better than Zei’s Vengeance for a few reasons. First off, it will give you bigger burst damage more often since Zei’s relies on Triumvirate to reduce your Arcane Orb’s cool-down. Zei's is also anti-synergetic with Triumvirate. This is due to Zel’s reducing you base cool-down of Arcane Orb, meaning that the percentage based cool-down reduction on Triumvirate becomes less valuable (you lose 1 second of cool-down reduction from Triumvirate). Seeker is also not range dependent, meaning you can hit it anywhere, not just far away from your hero. Finally, Seeker has extremely high talent synergy with the level 16 talent, Fireflies. Calamity brings some major firepower to your kit. By far, Calamity brings the biggest burst damage on this tier, even more so than Seeker but only at high risk. When using Calamity, you aggressively move closer to an enemy and at the same time, put your ability that lets you escape danger on cooldown. Because of this Calamity should only be used as a finishing blow. In order to mitigate some of this risk Li-Ming should take other defensive talents as recommended in this build, and possibly even Force Armor at level 1. Disintegrate is a useful ability to deal additional damage. This will often help clean up kills after severely damaging an enemy, especially because it pierces through all other foes. This occasionally gets an enormous amount of value when used on multiple enemies in a choke point. While Disintegrate is an awesome ultimate, it is riskier to take than Wave of Force. This is mostly because you must stay still while channeling it and if you cancel it early you lose out on damage. Personally, I will sometimes even take Wave of Force in our Standard Ranged Build, especially if I need to interrupt a channeled ultimate, such as Mosh Pit. Wave of Force is Li-Mings ultimate if you’ve decided to go to the Defensive Teleport Build. You will almost always end up regretting taking Disintegrate in this build. Wave of Force is systematically better because it offers you more instant burst damage. This helps secure your trait: Critical Mass, which resets all your cooldowns and triggers your level 4 talent, Dominance. Not only does Wave of Force provide some additional, instant, burst damage but it can be used for utility. Have a Sonya chasing you? No problem! Wave of Force will push them away and let you escape to safety. Glass Cannon is an ideal talent choice when Li-Ming isn’t particularly threatened. If you’ve decided to go our Standard Ranged Build, it is likely because you feel safe (see Level 4 talent description). This also fits well with the goal of our first build: to do high amounts of long range burst damage. If you’ve made a mistake when choosing you build or end up in more danger than you originally expected, switch this out for Cannoneer. Illusionist on its own is an extremely underwhelming talent until paired with Calamity. Because of Teleport’s extremely short range Illusionist will provide three things: First up we have a great ability to dodge enemies and position. This means you have a better chance of living against Melee heroes that are hunting you down. Illusionist also gives you stronger burst potential. It’s not very obvious, but being able to teleport in from a longer distance means that your Arcane orb will start doing more damage (because it travels a longer distance), and your original position can become more cautious. Finally, Illusionist allows you to hit enemies that are not directly next to you, meaning you can choose your targets more efficiently. While Illusionist isn’t much on its own, it’s a monster when paired with Calamity. Fireflies brings the most bang for your buck at level 16 if you’re playing our “Standard Ranged” build. Because it has extremely high synergy with Seeker you will maximize your damage potential by taking Fireflies. Fireflies enables you to get additional damage from Seeker more often, by reducing Magic Missiles’ cooldown. This also lets you fire off 33% more Missiles, at lower mana cost per cast, with a higher chance of hitting each Missile on its intended target. This achieves our goal of becoming a long-range burst damage hero and makes you incredibly dangerous. Mirrorball fits our ‘Defensive Teleport’ Build more closely than Fireflies. This is because it is very important to maximize, single rotation (one use of each ability on your kit) burst damage in this build. Remember – we are heavily reliant on Critical Mass (Li-Mings trait) that resets all of our cooldowns. Also, since we end up being closer to our targets, when using a Calamity enhanced Teleport we get less benefit from the speed upgrade of Fireflies. Finally, we don’t have Seeker so more sets of 3 Magic Missiles has little talent-synergy benefit. Tal Rasha’s Elements is an overall great talent that I would recommend for use in both builds. This is a pure damage boost to Li-Ming and is very competitive with other talents on the level 20 tier. Other talent options include upgrades to each ultimate, which can both be useful in niche situations. Never take Archon: Pure Power. Magic Missiles are one of Li-Mings core skills. They have a short cool-down and each time you use this, it sends out three projectiles that do moderate damage. These Missiles land wherever your mouse cursor is placed, in a certain range. However, each Missile takes a different path and will hit any enemy on the course to its final destination. When playing Li-Ming you want to aim to have all three Missiles to land on the same target because single target burst damage is more useful than spread out damage. To achieve this, position yourself so that no minions or enemies are between you and your target and then fire away! If you miss it is not a big problem, as the short cool-down and low mana cost lets you be spammy with this ability. To hit more Missiles, try to predict where your enemy will move as enemy heroes often need to take very specific positions to deal damage. Arcane Orb ­is a long range projectile that grows in size and damage as it travels. This means hitting it at long range is important to maximize its value. It can also hit multiple enemies and this is more likely as it grows in size. Because of its long cool-down you should hold this cool-down for opportune moments, unless you’ve taken Triumvirate at level 4. While throwing an Arcane Orb in the same position as your Magic Missiles will increase your burst damage potential, it can also make it easy for enemies to dodge all of your damage. If this is happening, try throwing your Arcane Orb slightly to the side of your Magic Missiles, and enemies will be forced to choose which to dodge. Arcane Orb can also be used to help clear waves. To clear the wave, position yourself to the top or bottom of the wave and aim to have the orb hit the middle minion. Other heroes clear minions more efficiently, so if you have other wave clear nearby – leave it to them. Teleport is a short range, instant movement spell. It has a wide variety of uses including, dodging damage, re-positioning to deal more damage, or teleporting to finish off a kill with Calamity. Try to avoid using this to re-position in order to land your skill-shots unless absolutely necessary, as it is your main defensive cool-down. 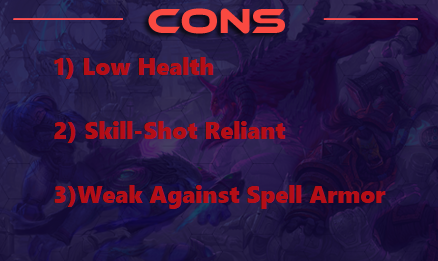 Positioning correctly in the first place means you will have a higher chance of living, and more mana to convert into damage. If using teleport with Calamity, use it only as a way to secure finishing blows, as you don’t want to teleport into the middle of the fight, and have your teleport off cool-down. Critical Mass is an enormous strength for Li-Ming, we even build our entire Defensive Teleport build around Critical Mass (D). Because her trait resets her cool-downs Li-Ming tends to snowball in team fights using her flashy abilities. This is because a single kill normally transforms into many more when Li-Ming subsequently throws out more damage. Be careful when using your trait in combination with calamity, as the same rule still applies: don’t Calamity in unless you can make another finishing blow. With a fast paced play style this is often overlooked and causes the Li-Ming player to die after making one or two kills. In the early game teams often fight as 5 during level one. In order to be most effect either engage out of (such as on a watchtower) or before the minions collide in the lane. If you end up on a two lane map, consider if you team has good wave-clear. If they do not, you’ll need to use your Arcane Orb (W) to help clear the wave. Otherwise hold it for good chances to deal large amounts of damage to the enemy team’s heroes. Li-Ming is quite weak on her own and should try to stick with a hero that has CC (a stun or root), normally the tank. Sometimes allies will not focus on soaking, in this case consider if you’re being effective in making kills in your current position. If not, move to collect the experience (soak) from minions dying in abandoned lanes. Keep in mind that early game kills are not very valuable (in comparison to soak) and one full wave of 7 minions is worth more experience than a very early game kill. Once you get your ultimate you’ll want to use Disintegrate to add additional damage onto your normal combo of Magic Missiles (Q) and Arcane Orb (W) hitting the same target. This will help you kill targets with a little bit more health, or enemies that are being healed. If you took Wave of Force save it for either interrupting a channeled ability (first and foremost Mosh-Pit). ​If you do not need to hold it, try to use it to peel for your allies. You do this by putting Wave of Force (R) on your ally’s current position. This will push a melee enemy away from them and thus prevent damage. Another use of Wave of Force I find myself often using is to add a little more damage into my combo, especially when using the Defensive Teleport build. You can also use Wave of Force to prevent enemies from getting away as it will interrupt many dash-style abilities such as Muradin’s Dwarf Toss (jump) and Falstad’s Barrel Roll. In the late game abuse the fact that you have become a poke-monster with our standard build, or powerful enough to instantly kill almost any other character with our defensive teleport build. This means if you took Fireflies, you’ll want to throw out your Missiles on cool-down. Look to play in the very back of your team to make it difficult for enemies to get to you. This means you should aim to hit your Missiles at max range. Instead of stepping up to make sure the Missiles hit, let enemies make mistakes by running into the Missiles. You can also use your high burst damage to peel for your allies an example would be to throw your combo at your ally, to prevent an enemy Thrall from auto-attacking them. Keep in mind that if a flanker or ambusher, such as Sonya or Zeratul comes for you – move towards your team unless friendly towers are closer. Your team is counting on you to hit your abilities in the team-fight, so make sure you’re ready to follow up on your tank’s root or stun. It is very punishing to die late in the game, this means it is critical to secure kills while avoiding risk. Consider the goals you need to accomplish (avoid death, secure kills), before your pick your build. You should think about the dangers and opportunities present in each game and the build needed to accomplish your goals by avoiding danger and taking advantage of opportunities. Li-Ming is an ability damage burst-assassin. Her great talent flexibility allows for nuanced play and strategies. The keys to success with Li-Ming are twofold: avoiding death, and completing your required role. Executing the proper strategy will win games, and as you get better at aiming your skill-shots you will win even more. Good luck in your practice!